Swedish free school organisation Vittra describes its preschools and schools as "meeting places with a positive and open atmosphere". 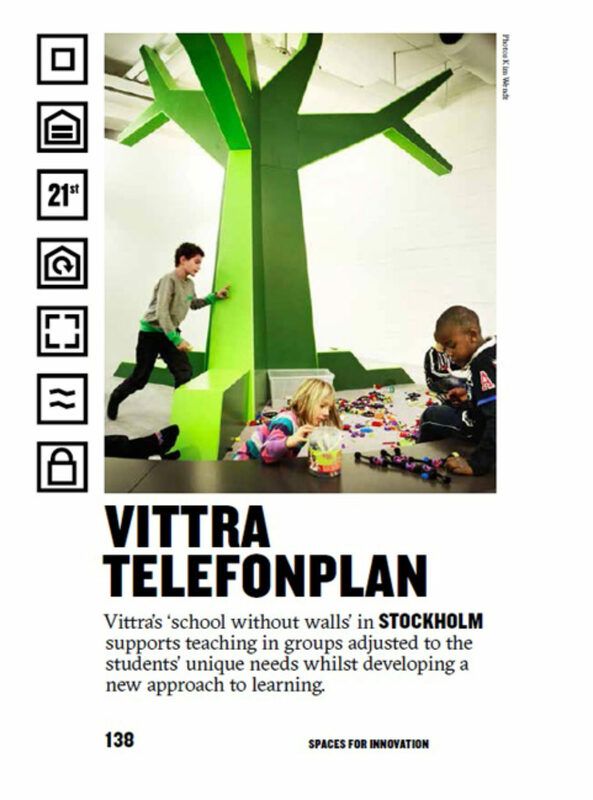 When its new school, Telefonplan, was established in Stockholm in 2012, one of the key founding questions was how the pedagogy and organisation of the school could be supported through the design of the environment. The school enlisted the help of designer Rosan Bosch, whose Danish interdisciplinary creative art and design studio had worked on a variety of schools previously. Bosch had witnessed her own children change from viewing school as an exciting place to associating it with learning, and learning with being boring and dull. The contrast between this and her children's perception that free time was fun time inspired Bosch to use design to transform experience and behaviours, attempting to reignite a joy for learning. Bosch and her team worked with students and teachers to explore how pedagogy, school organisation and design of the environment could be considered holistically. Often described as a "school without walls", instead of comprising conventional classrooms Telefonplan's design allows students to be taught in groups adjusted to their unique needs and achievement levels. Five environmental elements were created: the 'mountain top' is for typically one-way, broadcast communication, such as talks, speeches and lectures; the 'cave' supports concentration and individual learning. The 'campfire' is for dialogue, often in small groups, which can result in high noise levels. Feeling free to be able to talk without disturbing others is an important factor here. The 'watering hole' is where people meet, often randomly, in a space with high levels of movement and disturbance. The fifth principle is 'hands on', where children have the option to use their whole body in the learning process, whether dissecting a fish, using movement to learn or exploration through music. As there are no traditional classrooms, navigation of the space was an important factor in the school's design. As Bosch explains: "You can't say, 'You need to be in English at 12 o'clock' because English could be happening anywhere. So, in creating identity markers that act as signposts in the space – such as the multifunctional 'mountain' (a hollow structure that contains a small cinema and connects two floors); and a bright green 'tree' structure that seems to reach through the roof – it became 'English at 12 o'clock under the tree'." 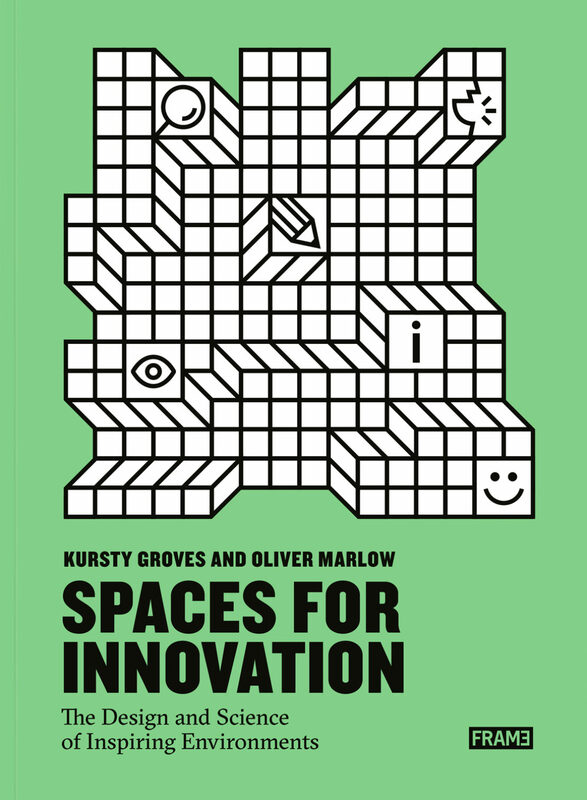 The opportunity for flexibility arises not by installing folding walls and putting everything on wheels; the environment lets people make their own flexibility. "Flexibility is something in your mind," says Bosch. "You have to have a moment of creating attention," explains Bosch. "The worst thing you can do is put people in a classroom that they are already familiar with, as they know what to expect – so then they are not sharp. If you have a flexible environment, then you are able to inject alertness through lack of habituation – you put people in a different state." "So you can say to a group of children 'Let's go stand on top of the mountain' and just because it's a different situation, you create a short moment of attention and then when you introduce something their minds will be much more open for taking in new knowledge." "People think that design should be a solution – a fixed idea – and, I think, this is the biggest problem. Our goals, like our buildings, are changeable. Circumstances change, people change." This is a far cry from traditional learning environments which, by comparison, have the static air of a museum. "When you look at a school that was built one hundred years ago," says Bosch, "nothing has changed since. This is exactly what's wrong with the way we educate because we are making our children into passive robots. This is the antithesis to innovation." "When people start to think of the environment as part of their toolbox and experiment with it, it becomes a creative environment because people are not afraid to try things out."